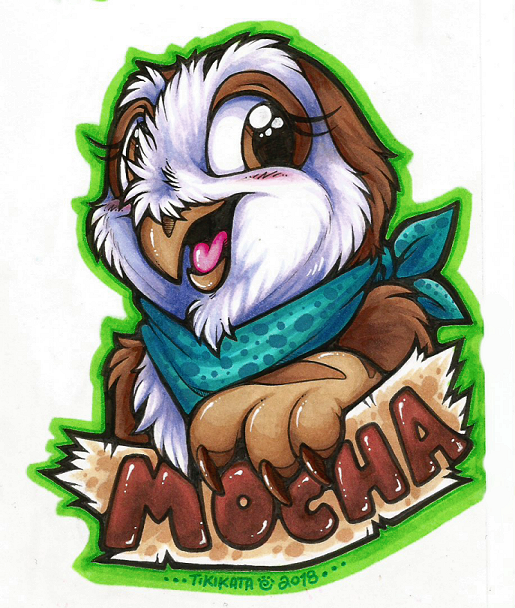 Introducing my new character, Mocha Alba, who is an owlbear! It's hard to tell from this badge, but I decided to make her an owlbear because I like to play D&D. She is based on my new fursuit I got from a friend. <3 She debuted at MCFC 2018!